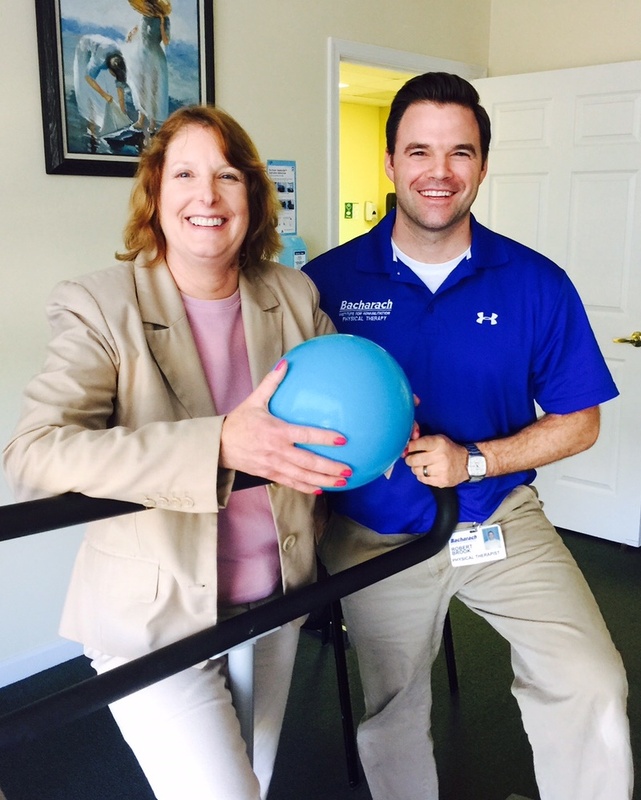 Welcome to Bacharach Physical Therapy at Central Square in Linwood. The two physical therapists on staff, Bob Brook, PT, DPT and Susan Cohen, MPT offer personalized and individualized treatment plans to improve the quality of life in patients with a wide-range of orthopedic injuries and neurological conditions, as well as those in need of vestibular therapy and concussion management. Open Monday through Friday from 9 a.m. to 5 p.m., the Linwood facility welcomes patients of all ages and all walks of life – and their friends and family members. All three of the staff members at the Linwood facility – Mallory Connell, front desk; Susan Cohen; and Bob Brook – make it a point to know each patient’s name and go out of their way to accommodate his or her needs. To learn more or to make an appointment at Bacharach’s Linwood facility, please call 609-653-4960.